Download from the most famous video & audio sharing websites such as YouTube, Instagram, Facebook is in great demand. When it comes to downloading internet videos in 2018, there are two main options: download an application to help you or use an online downloader. Usually, using online downloader is a bit convenient because you don’t have to install anything. After I explored so many online video downloader websites, I am confident that VideoSolo Online Video Downloader is one of the best of 2018. The VideoSolo company has a rollout of this powerful downloader this year as a free service. Let’s take a look at the evaluation. Download the video and audio in diverse options in one-click. Provide three video formats and 2 audio formats to choose from, but you can’t convert the video into more formats you wish in this downloader. VideoSolo Online Video Downloader is one of the best in the market based on its compatibility and full platform. I was satisfied with its beautiful, clean interface as a free tool when first got on this site. No advertisement at all. 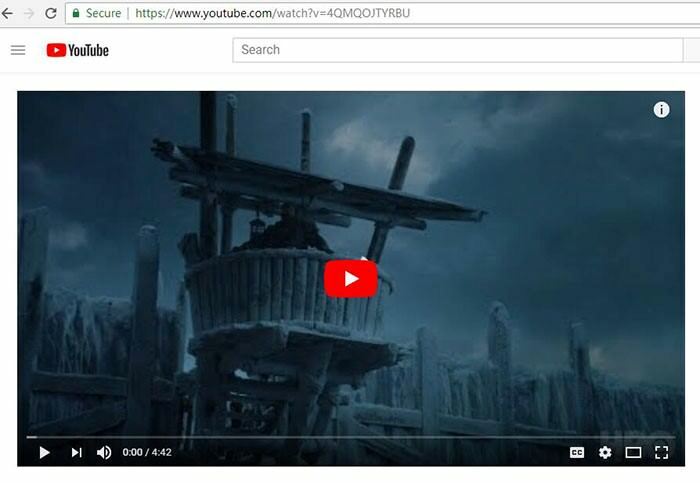 I copied the link in YouTube, plugged-in the download box to click “Download.” After that, there were so many video options such as video only, resolution and format to choose. I checked the saved video; it wouldn’t download something else or add content in the video that I didn’t need. I didn’t even need to register in the whole process. In this article, I have rated this online service in 6 areas: operating systems, usability, download, browser compatibility, cost, help & support. Hoping this will give you a comprehensive understanding of the program. This is a full platform product, which can run on an Android phone, iPhone, and computer via the mobile/desktop browser. 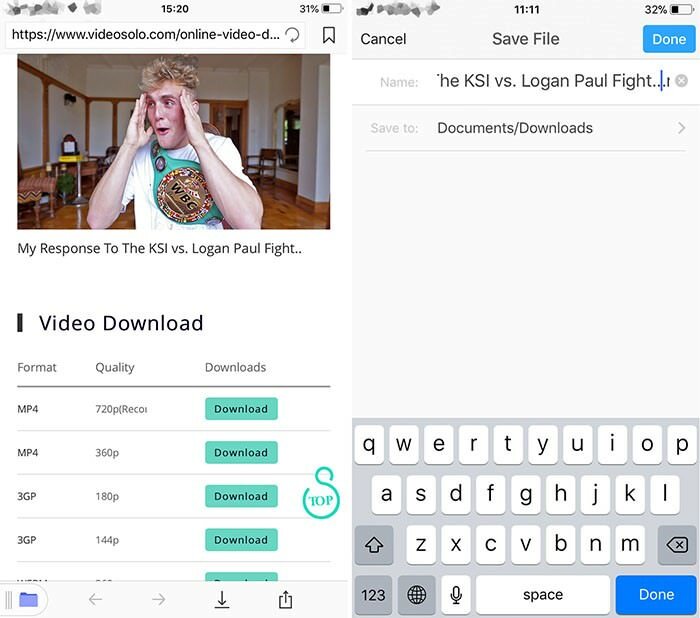 Therefore, if you want to view a YouTube video offline on your phone, you can complete the task in one-step without downloading the video first to computer then transfer it to your phone. Having this, I don’t have to find another downloader for mobile phone. With a well-designed, it is extremely easy to handle in one-click. No need to install anything on Android phone and computer. 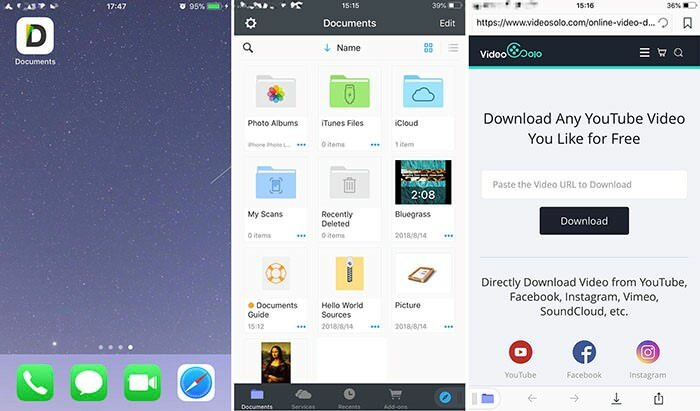 While on iPhone, you need to install an application “Documents” which can be found in the App Store. As of now this website support downloading from YouTube, Facebook, Instagram, Vimeo, SoundCloud, Dailymotion, and Niconico, etc. Not a lot but covers several mainstream websites. It has multiple choices including video, video only, audio only and subtitle. Allow you to download high-definition video, with eight kinds of video resolution (144p, 240p, 360p, 720p, 1080p, 2K, 4K, 8K) and three kinds of video format (WebM, 3GP, MP4). As for audio, allow downloading high-resolution audio with five kinds of audio resolution (64kbps, 96kbps, 128kbps, 256kbps, 320kbps) and two kinds of audio format (M4A, WEBM). In general, these formats can be played directly on the device. The entire playlist in YouTube or SoundCloud can also be downloaded in VideoSolo Online Video Downloader, with one-click. Plugging-in the video links in playlist one by one is not a necessity on this site. For some of the website like Vimeo, VideoSolo Online Video Downloader can only provide the MP4 format. So do not have a format conversion function in this downloader may be a bit troublesome. Compatible with all major browsers no matter loads these browsers on mobile phone or desktop. 100% free. VideoSolo is a pioneer in video converting and sharing. Not all the products of this company are free, but it costs nothing to use this online video downloader. Although this is a free program, you can still get good service from the VideoSolo company. It has video guides on YouTube as well as Tips & How to’s tutorials. If you have more questions, contact customer service via email and get a reply within 48 hours. Load VideoSolo Online Video Downloader in the browser. Copy the link of the playing video on YouTube, Facebook, SoundCloud etc. page. Paste this URL link in the download bar then enable the “Download” option for parsing link. Select the target format and desired quality according to your computer resolution. Once done, you may enjoy videos and songs on your computer offline. You will need to download “Documents” on the Apple Store as a necessary tool which enables the download service to run successfully. Afterward, load the website of VideoSolo Online Video Downloader inside it. Copy the URL link of the video you wish. Plug-in the link to download. When you are going to save the file, you can change the file name to whatever you like. No matter which video downloader you use, copyright law is something you have to pay attention to. Make sure you download the videos just for personal use. To convert videos you download into 300+formats, VideoSolo has another product VideoSolo Video Converter Ultimate. It’s not free, and I have not used this software yet. You may have a look. Read from the official Tips & How to’s guide to learn download YouTube playlist and download videos to Android phone. Suffice it to say, VideoSolo Online Video Downloader is an outperform and risk-free online downloading service, enable you to download from several popular websites, with multiple download options. It’s an above average service. 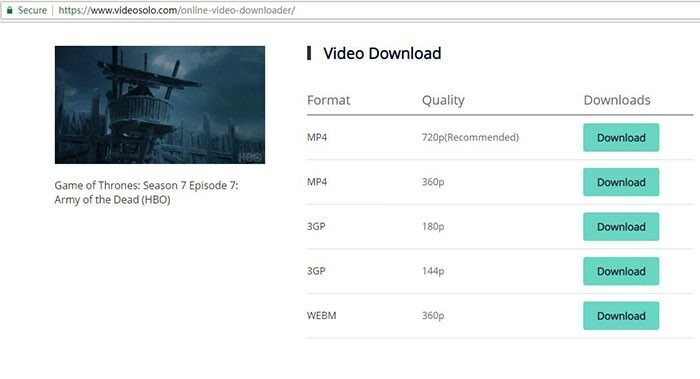 Based on its free and easy to handle, I strongly recommend it as one of the best online video downloaders in this year. VideoSolo Online Video Downloader is one of the best in the market based on its compatibility and full platform. I was satisfied with its beautiful clean interface as a free tool when first got on this site. No advertisement at all.